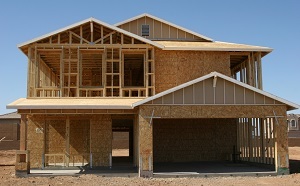 A home addition is an effective way to have your house grow with your needs. Is your home starting to feel crowded? Has your family grown in size? Do you just need more space period? A home addition might be just what you need. Here at ENTrepreneur Hustle, we specialize in providing homeowners quality additions. Whether you just need more storage space, have a growing family, or want to create the home of your dreams, ENTrepreneur Hustle can provide the home addition that you crave. Give us a call or contact us online to schedule your home addition estimate! Most homes seem to lack a little something at first. The great thing about a home addition is that it provides an opportunity to add that little something and make your home truly match your vision. First-floor expansion: Need just a few more rooms added to your home? A first-floor expansion can provide enough room for just that. A little bit of expansion can also be a great way for you to simply expand an already existing room like your kitchen or living room. Second floor: Do you have far bigger plans than just expanding your first-floor? Are you interested in having the space for several new bedrooms and bathrooms? A completely new floor is just what you need. ENTrepreneur Hustle can help you expand your living space or provide room for a growing family. Additional room: Do you only need one extra bonus room? Whether you want another bedroom, playroom, living room, or something else entirely we can provide that as well. In-law apartment: Are you interested in renting out a part of your home to make some money on the side? Do you have a relative planning to move in? ENTrepreneur Hustle can construct an in-law apartment which will be attached to your home but also separate with its own bathroom, kitchen, and entrance. Regardless of why you need extra living space, you can rely on ENTrepreneur Hustle to have your back. Our team of experienced professionals will work closely with you to design and construct the new home addition that you need. We can help you add functionality, beauty, and value to your home while helping you get that much closer to your dream house. Contact us today to schedule your home addition quote in Ohio!